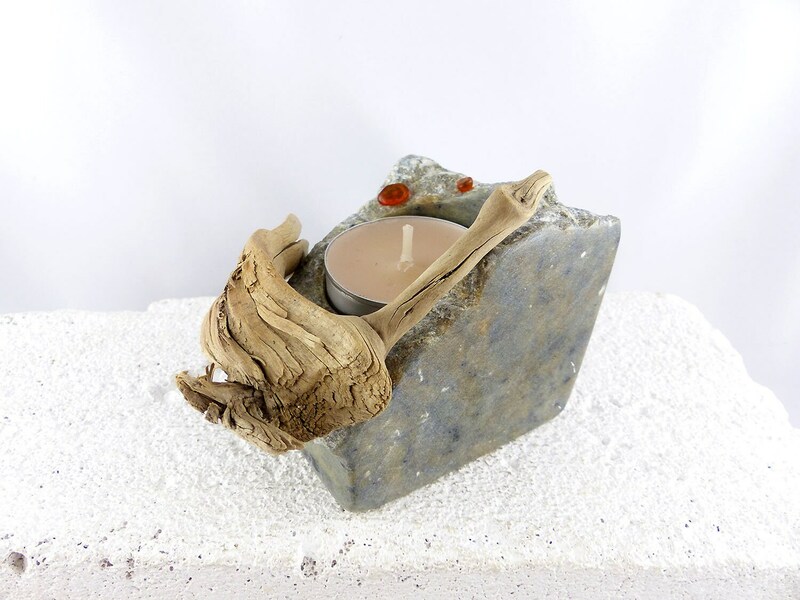 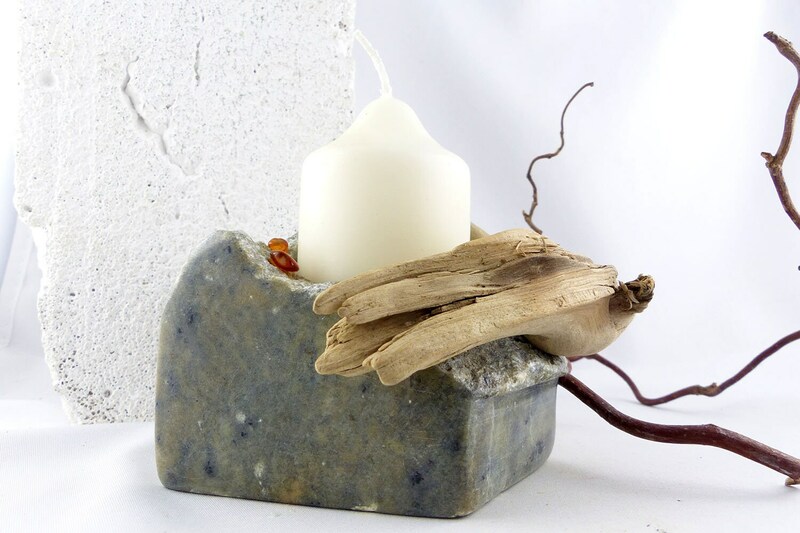 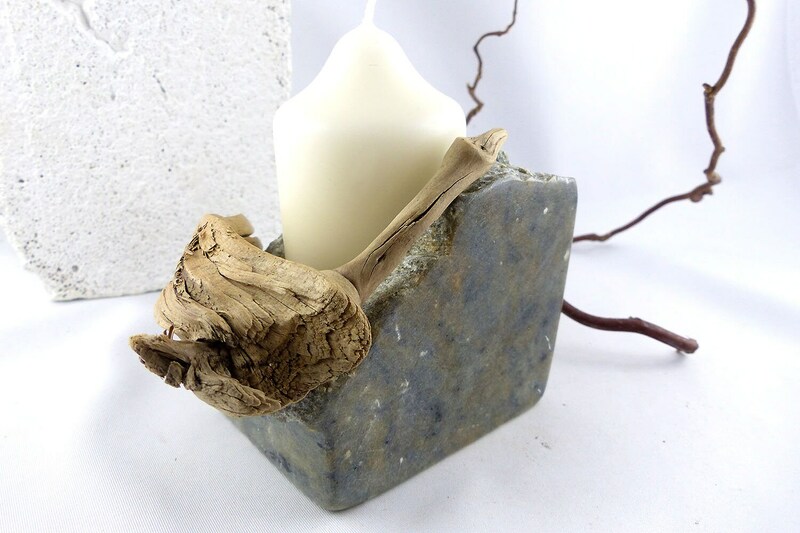 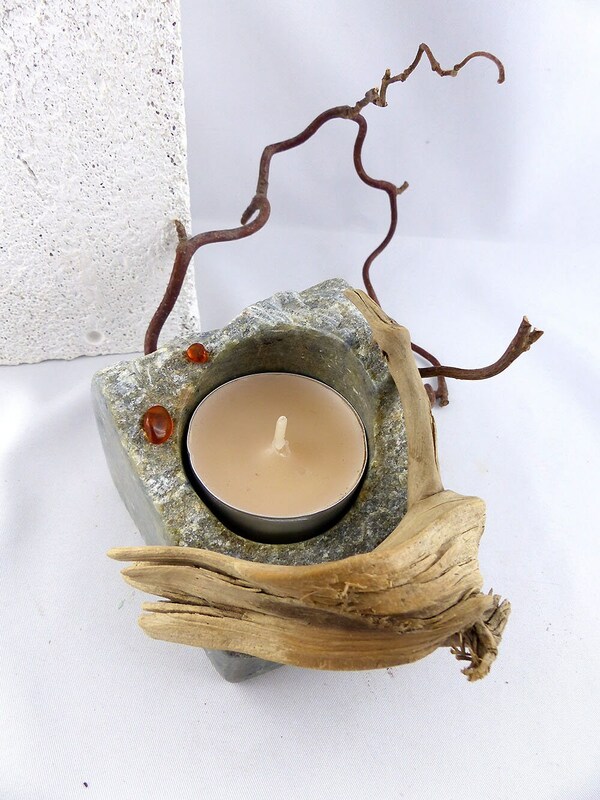 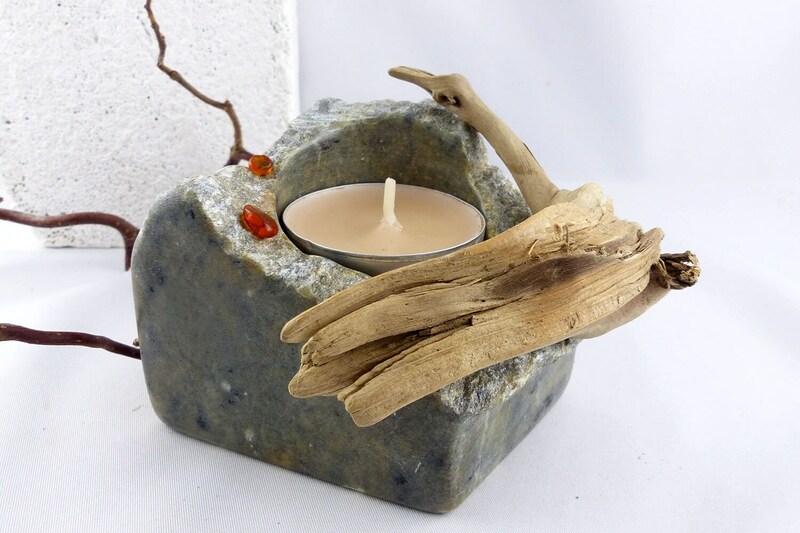 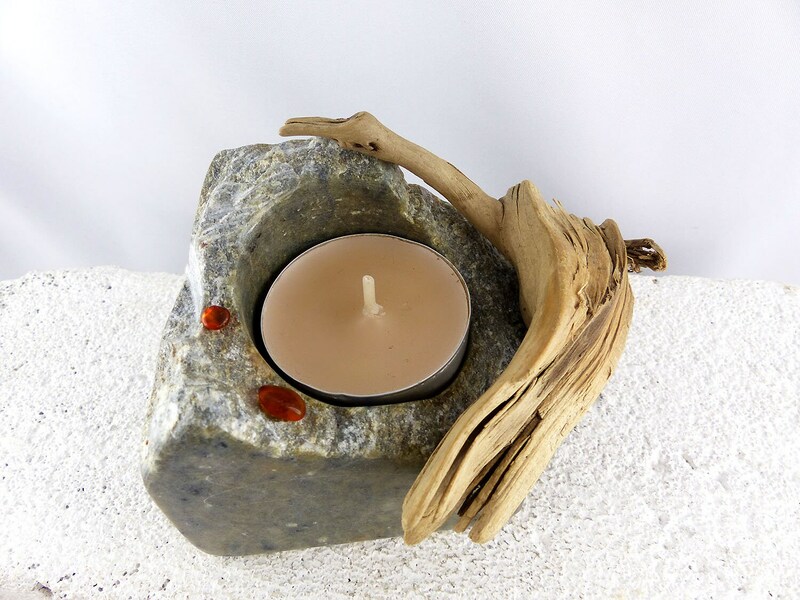 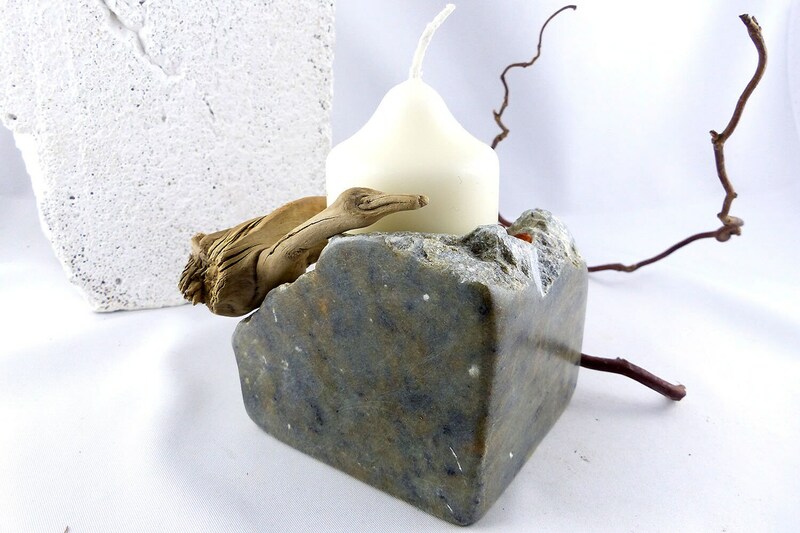 “WIM” – a natural designed stone tealight holder in warm green and grey tones, handcrafted of INDIAN STEATITE. 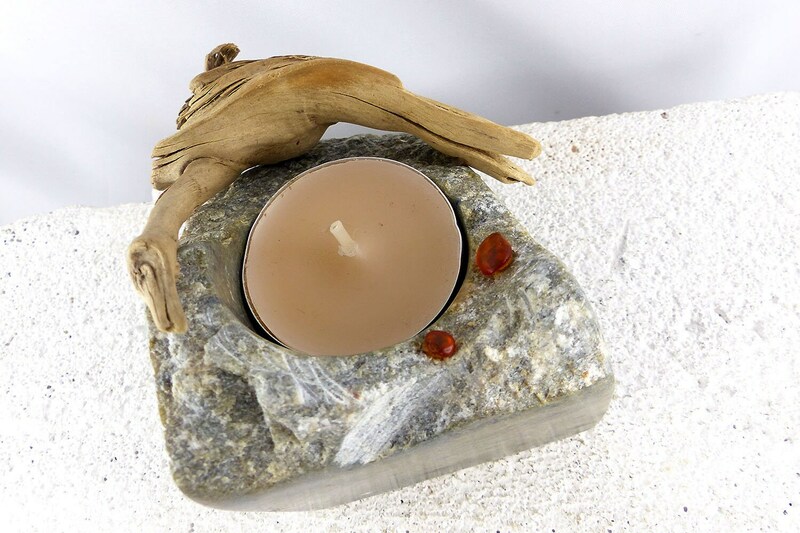 The tealight is framed by two small shiny pieces of AMBER and DRIFTWOOD from the Baltic Sea. 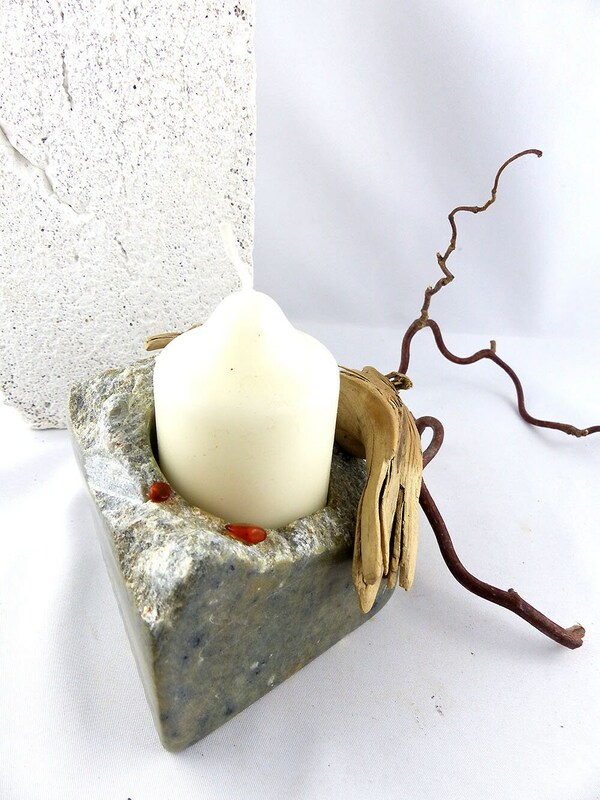 This stonesoft art object is made with love and CARVEDED BY HAND.